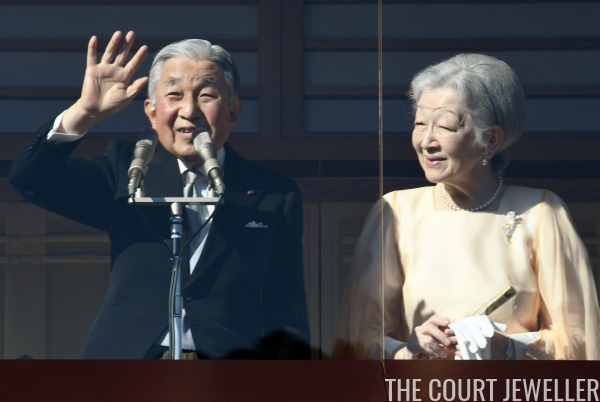 Emperor Akihito of Japan celebrated his 84th birthday today, and as is tradition, the Japanese imperial family gathered for a public balcony appearance in Tokyo to mark the occasion. The Japanese ladies have a definite jewelry uniform for both day and night. The day uniform includes pearls, brooches, and earrings. 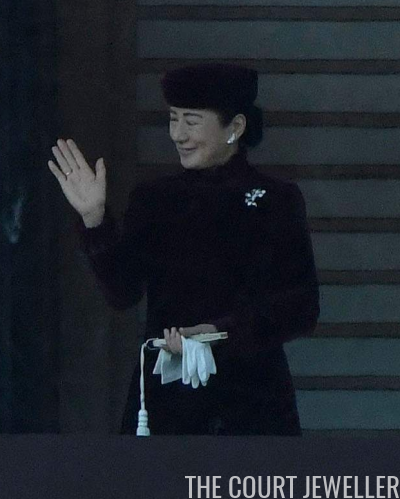 Empress Michiko, as the highest-ranking lady of the land, sometimes adds a bit more sparkle to her daytime attire, as she did today. Her diamond floral brooch was complimented by earrings with a diamond floral stud and a pearl drop. 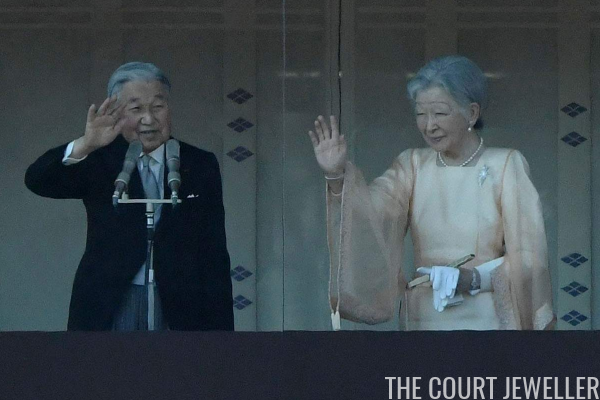 Crown Princess Masako, who will be Empress of Japan when the current emperor abdicates in 2019, wore the usual white jewels for the event, including earrings and a brooch that appears to be studded with pearls. 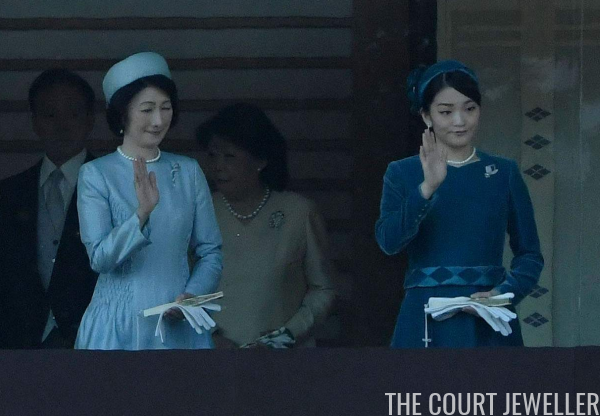 The Princess Akishino and her elder daughter, Princess Mako (who will be leaving the family when she marries next year), were also present for the appearance. 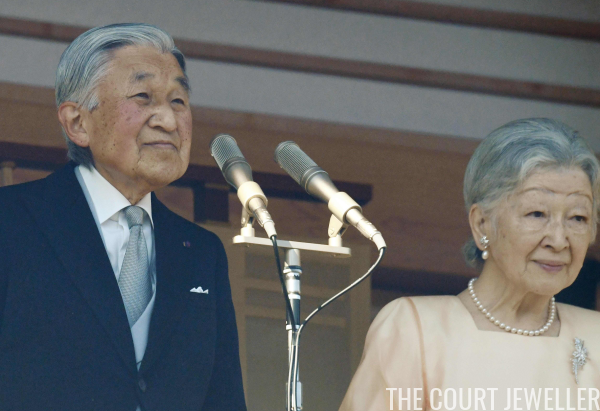 Both wore pearls and brooches, though Mako appeared to add a bit of color with her brooch selection.